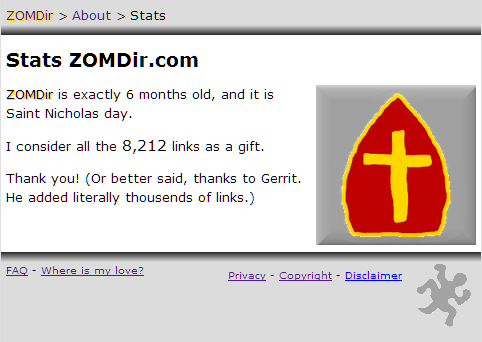 Today, ZOMDir is 6 months old, or more exactly 183 days. The avarage number of links added per day is 45. See the stats for the current situation.